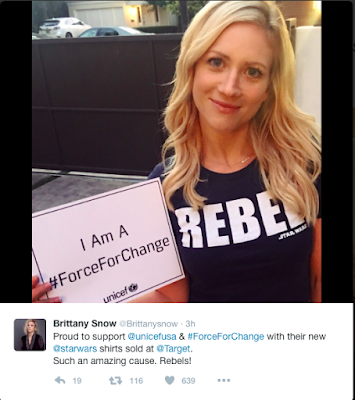 High profile Star Wars fans – such as June Ambrose, Steve Aoki, Camilla Belle, Jack Black, Gareth Edwards, Diego Luna, Olivia Munn, Kelly Slater, Brittany Snow, Larry Wilmore and more – have come together to share the importance of being a #ForceForChange in support of the global conversation around giving back, #GivingTuesday. 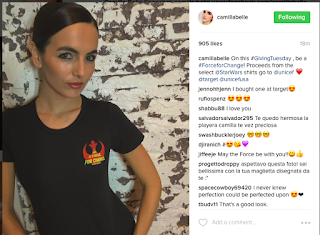 The activity is part of this year’s “Force 4 Fashion” campaign, which celebrates the themes of rebellion from "Rogue One: A Star Wars story" via a new line of limited t-shirts. 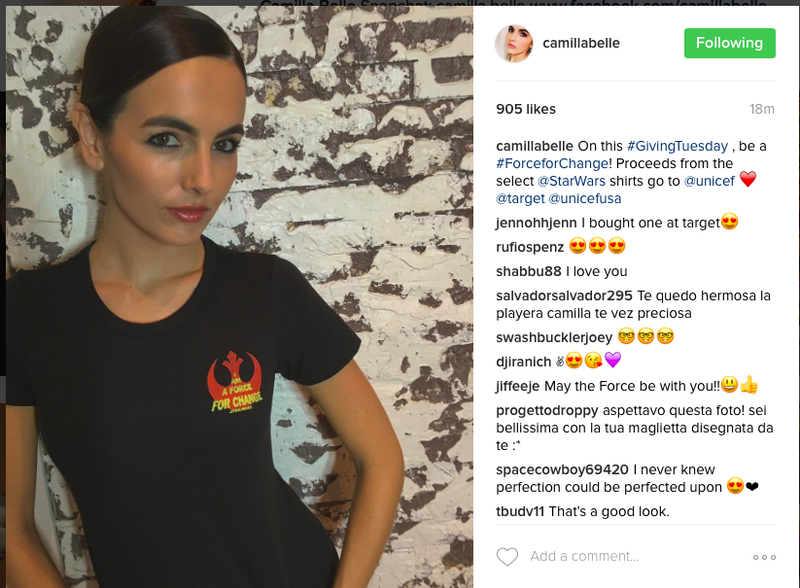 The t-shirts were designed in collaboration with members of the Rogue One cast and a host of talent from the worlds of entertainment, sport, film and music, and are available now exclusively in the U.S. at Target. Five dollars from the sale of each shirt will be donated to the U.S. Fund for UNICEF in support of UNICEF Kid Power. The Foray Collective, a group of fashion-forward bloggers put their own spin on styling the limited line of shirts through a photoshoot in L.A. Check out video and images here and here. 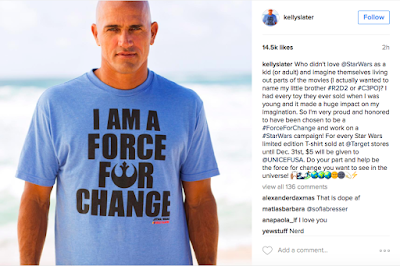 UNICEF Kid Power will benefit from the sale of the “Force 4 Fashion” line of shirts exclusively at Target. 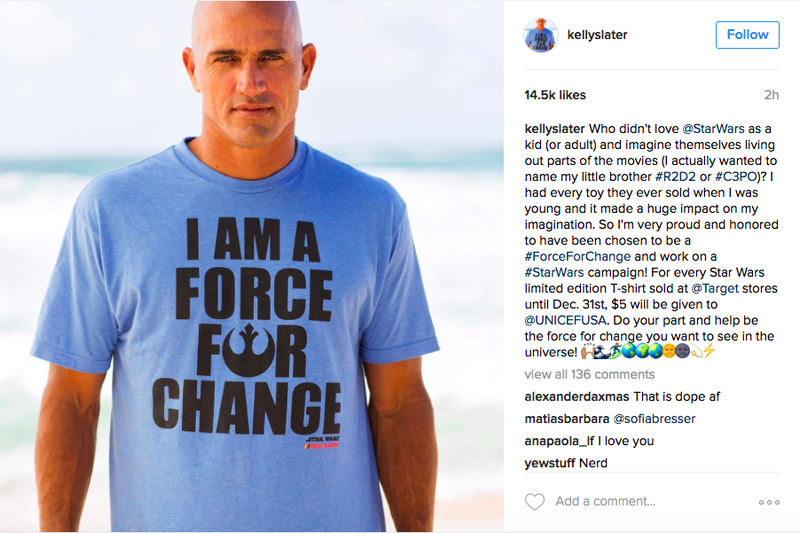 UNICEF Kid Power encourages kids to complete physical activities and interactive challenges to earn points—which ultimately are used to provide life-saving packets of food for severely malnourished children around the world. The more kids move, the more points they earn, the more kids they help.